WILL BE PARTYING DOWNTOWN AT RAILWAY HOTEL & SET UP FOR THE FIRST TIME OUTSIDE. SO YOU HAVE TO REACH RAILWAY HOTEL INNA SUMMERTIME. 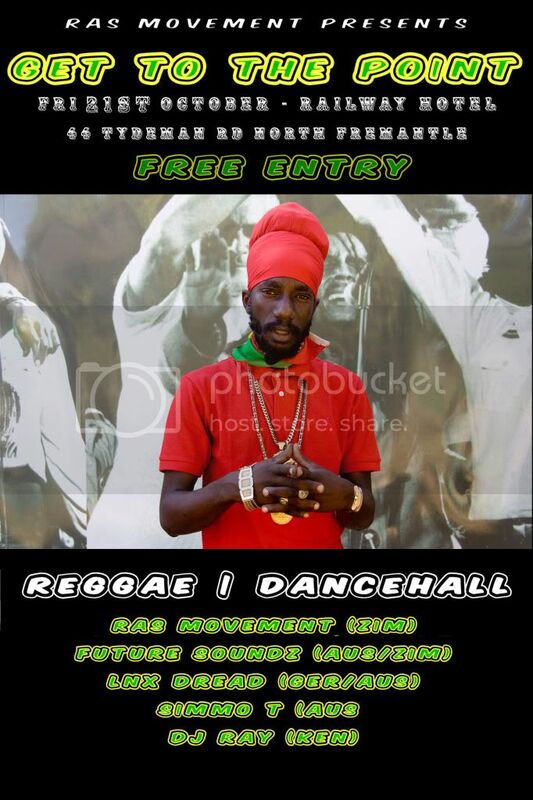 COME AND FEEL THE VIBES FROM YOUR BEST DANCEHALL DJ'S IN PERTH. TO TOP IT OFF WE HAVE PERFORMANCES LNX DREAD OUTTA PERTHS NUMBER ONE DANCEHALL CREW 'YOUTH INNA BOOTH'. Love it!!!!!!!!!! Glad summer is here!! Is that your poster or just something you knocked up for here ? Also I'm sure these guys are so keen to hear your opinion Selecta Ding! Give thanks for your amazing insight! And thanks for the welcome to OZreggae. or the other guys, but if they are friends of LNX Dread then I am sure they are nice people too. Maximum respect to them for their efforts. BTW. Your spelling has suddenly improved or is it you just used both hands to type this time ! It must be difficult to type one handed especially when the other one is busy. Thanks for making an effort on my behalf but don't bother next time. We shall just continue to mean 0 to eachother shall we ? Are you hovering again El zzzzer0 ? You have the monopoly on " back in my day ". I'll leave that to you. Like I told ya , stick to YOUR proposal...zer0 remember ? RESPECT to RAS MOVEMENT DJs Rontings & Rastafyah for promoting Reggae . Went and caught DJ Ray play a good set got tha Gals Dancin . Nuff Respect To LNX & shano ,Joseph & PJ ...DJ RAY played an even better set next night at a ram I LOVE RAGGA ..